Seat width from 39 – 50 cm. The XXL-Rehab Minimaxx drives very well due to the position of the rear and front wheels. It is designed so the rear wheels carry most of the user’s weight making it much easier for the user to push. The castor wheels are further in front as on standard chairs. This prevents the chair from tipping. The construction and adjustment possibilities meet the needs from various bariatric bodytypes, making it the best for this type of users. 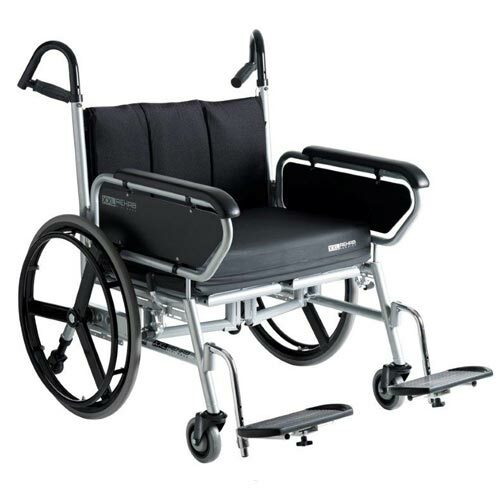 The steel frame gives the XXL-Rehab Eclipse wheelchair maximum strength and rigidness, and therefore also makes it a long lasting wheelchair. The frame is designed so most of the userweight is carried on the rear wheels. 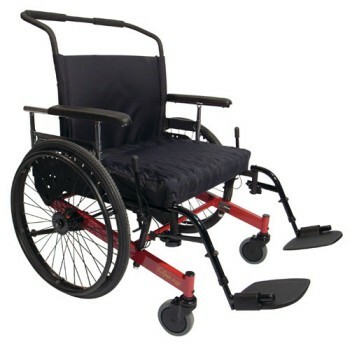 The wheels are especially made for this wheelchair; they are extra hard and solid making propulsion and steering unbelievably easy and with very little loss of energy! The seat pan is also solid – because anything else would be hazardous! Various medical conditions demand a solid seatpan (fractures, hemiplegia, lateralshifts etc) but also giving a bariatric user a solid seat pan facilitates a good posture and activeness in the chair. 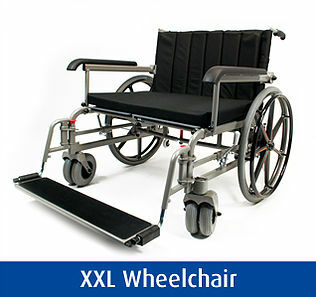 The XXL-Rehab Eclipse Wheelchair has adjustable seat depth, sea t height, seat to floor angle and seat to back angle. All of this makes it easy to adjust to any user! The adjustment possibilities give the user a chance of staying active in propelling the chair, to get in and out of the chair and maybe also walk the chair. The back is constructed so users with a protruding behind can get good support to their lumbar spine, a huge problem rarely met by any other chair! Front wheels are placed in front of the seat pan to ensure an anterior anti-tip, which is very important taking into consideration that most bariatric users have a lot of weight placed in front of them. 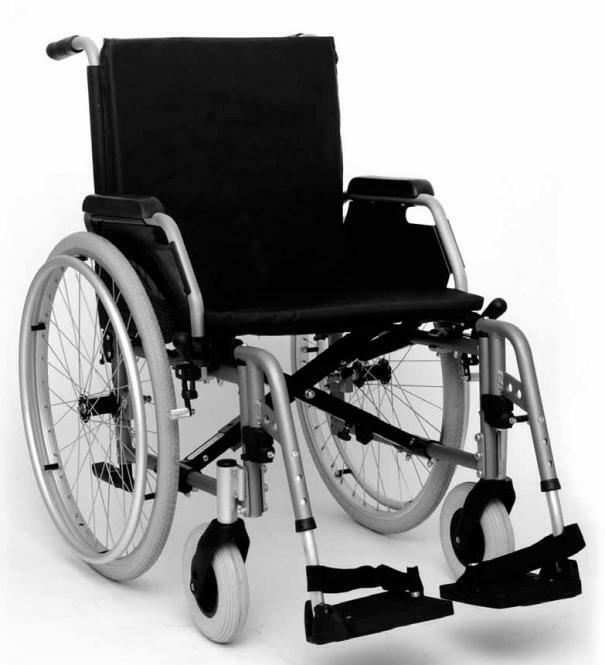 The anterior anti-tip makes it possible for the user to get in and out of the wheelchair without the risk of tipping. 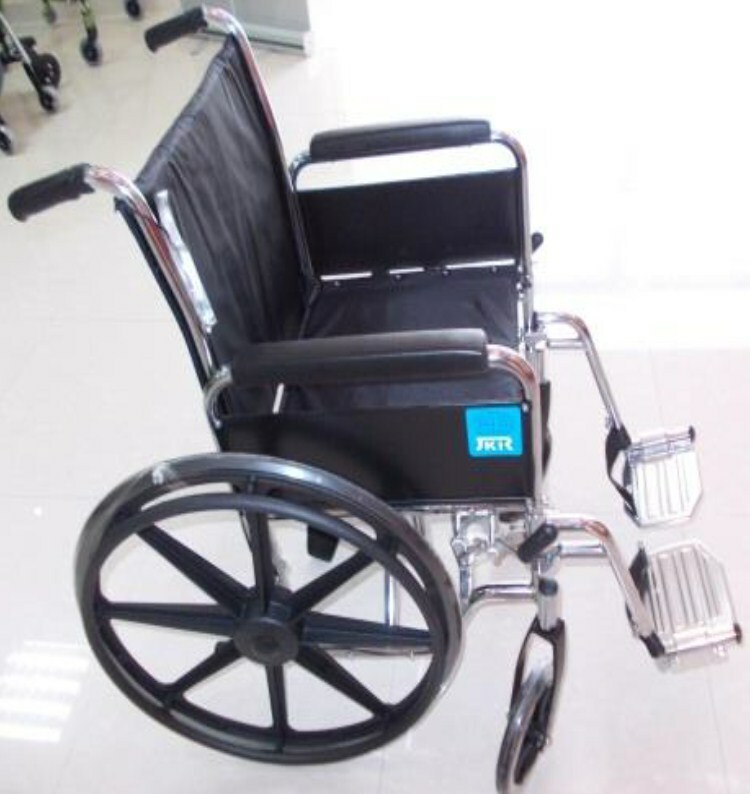 The XXL-Rehab Eclipse Wheelchair has disc brakes as an additional option. Different types of front rigging complete the adjustment possibilities. The chair can be used with 3 different kinds of cushions.